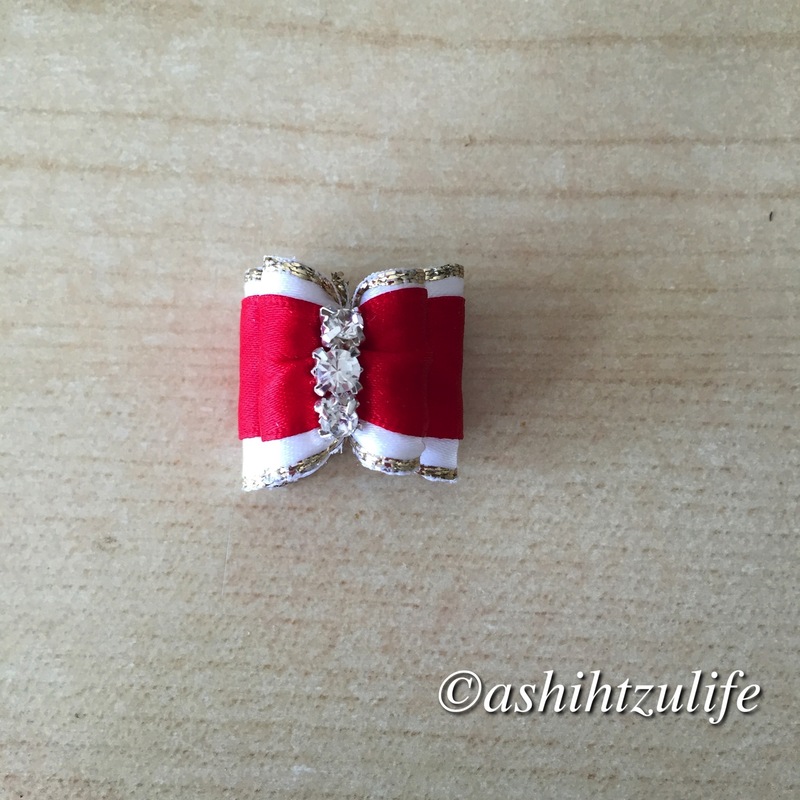 Here is a stunning red and white bow. This is one of our full sized bows and is perfect for a top knot. This bow could be perfect for Christmas. 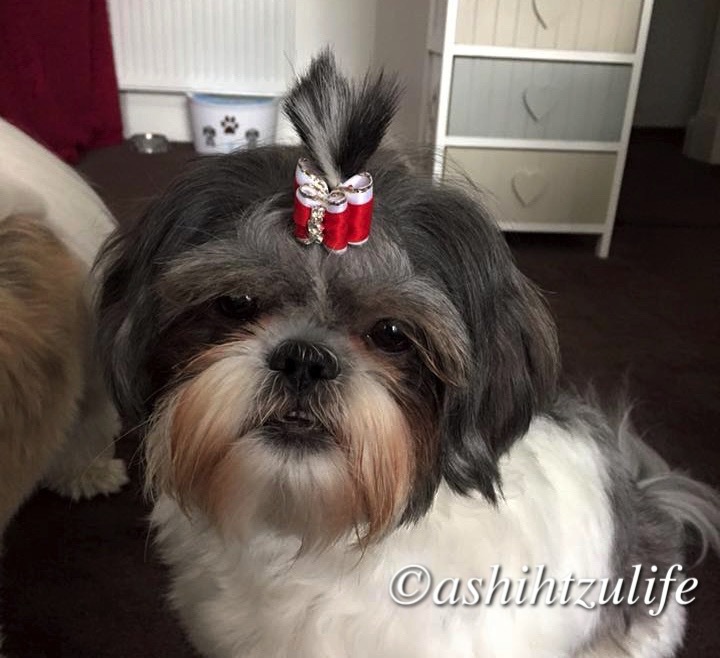 Here is Pixie showing off this lovely bow!